Most people in North America currently use a storage tank water heater to provide hot water in their homes. A storage tank water heater keeps water hot 24 hours a day, even while you’re at work or sleeping. A tankless water heater, on the other hand, does not store hot water. It heats the water as you use it. Because a tankless water heater turns on when you open a hot water faucet and turns off when you close the faucet, the energy that is consumed is only for the hot water that is being used. Since there is no storage of water, and thus no constant heating and re-heating of stored water, you’re not wasting energy heating water when you don’t need it, such as when you’re sleeping or not at home. This energy savings translates to dollar savings for you and reduced impact on our environment. Furthermore, since a tankless water heater heats the water as you use it, you can have an endless supply of hot water, provided you size the unit appropriately (see our Product Selector to find the right model). Depending on which model of tankless water heater you purchase, and what size storage tank you have now, and if it runs on gas or electricity, you could save anywhere from 5% to 69% off your hot water heating bill. How? Most homes use hot water for a cumulative total of about one hour per day, yet they typically keep 40 or 50 gallons (oftentimes more) of water hot 24 hours a day. Having a system that eliminates the storage and heats water only as you use it can dramatically reduce your energy consumption. Are there other benefits of a tankless water heater? 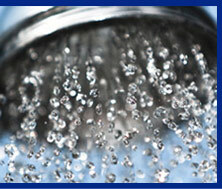 There are many advantages of having a tankless water heater in your home. In addition to the money savings, endless hot water and smaller impact on the environment, a tankless water heater: Is very small and can hang on the wall, thereby saving you valuable floor space. Is designed with replaceable parts and is built with such materials as copper, stainless steel, and aluminum so as to last a lifetime. Energy savings is only one segment of savings—with proper care this could be the only water heater one needs in a lifetime. Is almost entirely recyclable, so if you ever decide to replace it, it doesn’t have to go to the landfill. Will not develop a corrosive leak like a storage tank water heater, saving you from expensive water damage in your home. Will I still enjoy the Benefits of my Solar Thermal System in the Winter Months on a Cloudy Day? AET Solar Thermal Systems are the solution for providing domestic water heating for hot water on-demand, in all climatic areas of the country year round! In the summer, the sun can produce up to 100% of your hot water needs, but during those months of the year when the sun's heat is not always available, we recommend combining your AET solar system with a Tankless Water Heater as your "peace-of-mind" back-up. Even when you have a cloudy day, diffused light penetrates the cloud layer and heats up the AET Solar Collectors. What kind of savings can I expect by installing my Solar Thermal System today? Save up to 55% today on your investement when purchasing your Solar Thermal System with attractive financial incentives, with federal, state and local backing (visit www.dsire.org for full details). A typical AET residential solar hot water system using 2- 4 collectors takes about 1-2 days to install depending on the location and roof type. What can we do to reduce Global Warming? Renewable energy resources, such as wind, solar and hydropower, offer clean alternatives to fossil fuels. They produce little or no pollution or greenhouse gases, and are an infinite resource. The sun is our most powerful source of energy. Sunlight, or solar energy, can be used for heating, lighting and cooling homes and other buildings, generating electricity, water heating, and a variety of industrial processes. You can help to reduce the demand for fossil fuels, which in turn reduces global warming, by using energy more wisely. Here are simple actions you can take to help reduce global warming; - Reduce, Re-use, Recycle: If you reduce your household garbage by 10 percent, you can save 1,200 pounds of carbon dioxide annually. Recycle; By recycling half of your household waste, you can save 2,400 pounds of carbon dioxide annually. - Use Less Heat and Air Conditioning: Setting your thermostat just 2 degrees lower in winter and higher in summer could save about 2,000 pounds of carbon. How much greenhouse gas can be offset by a solar hot water system? A typical residential solar water heater will offset greenhouse gas emissions by about 1,600 pounds of carbon dioxide (CO2) per year. That's equal to the amount of CO2 released by an average vehicle every 1,700 miles. Burning fossil fuels cause air, water and soil pollution, and release carbon dioxide and other heat-trapping gases into the atmosphere raising the level of carbon dioxide in the atmosphere, the major contributor to the greenhouse effect and global warming. Global warming is caused by excessive quantities of greenhouse gases emitted into Earth's near-surface atmosphere, which cause Earth's temperature to warm considerably triggering major, and occasionally catastrophic, changes to weather and wind patterns. While many greenhouse gases occur naturally and are needed to create the greenhouse effect that keeps the Earth warm enough to support life, human use of fossil fuels to supply most our energy needs is the main source of excess greenhouse gases contributing to global warming. Can I still install a Solar Thermal System if my roof is not pointing exactly south / if I have a flat roof? Deviations by up to 45 degrees from due south are unproblematic and do not contribute significant losses in your energy gains. Even an east or west pointing roof can provide enough energy to meet your hot water demands by installing a larger collector array in order to compensate. Are you living in a home with a flat roof? No problem. With the integrated AET roof mounting systems, any roof surface or angle is easy and simply looks great! Will an installed Solar Thermal System be an aesthetically pleasing addition to my home? The AET Solar collectors are designed with appearance in mind. With integrated and unobtrusive roof mounting styles, these systems are architecturally beautiful. Are Solar Thermal Systems Expensive to Maintain? How much maintenance does a solar hot water system require? A properly designed AET solar hot water system requires very little maintenance. The heat transfer fluid should be checked once year and is typically replaced every 5 years. The pipe insulation and controller settings should also be checked as part of the annual system check-up. The annual fee is estimated at $100 for your local Contractor to conduct the annual maintenance visit ($65 avg hourly fee + travel expenses). If your glycol needs to be replaced, this will be an additional cost. How many years experience does AET have in solar water heating? 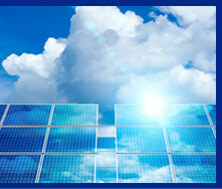 AET has been poineering solutions using solar energy since 1951. AET has shipped over 80 million ft. of solar collectors panels. AET continues to invest in research, development, and manufacturing capacity to bring innovative and high quality solar products to market. What is the life expectancy of a solar hot water system? 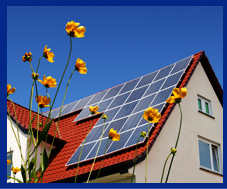 The typical life expectancy of AET's solar hot water system is 20-30 years. If the system is properly maintained, it can last over 30 years. Every 20 minutes, enough energy is transmitted to the earth's surface to supply the annual global energy demand. The sun generates more energy in 1 day than all our fossil fuel resources combined. Currently, solar energy accounts for <1% of the US energy supply. Does LED light produce less heat? Yes. LED lights are 95% light and 5% heat, while traditional standard bulbs used today are 95% heat and 5% light. There is a heat reduction with LED lights of 23 to 25 degrees per lamp at minimum. A Lumen is the amount of light emitted from a source at any given time relative to the light output when the source was first measured. LED efficacy surpasses other light sources. What is your LED warranty? A full 50,000 hour warranty. Do LED lights use less electricity? Yes, up to 70% less and LED's produce no UV radiation. Our LED's are also highly rugged, shock and vibration resistant and can operate in extreme climate and temperature conditions from -37 degrees below zero, to 131 degrees F.
Is LED lighting a good choice for commercial applications? Yes, Yes, and Yes. According to the Energy Information Administration, over 75% of commercial buildings lack energy efficient lighting fixtures. In the United States, approximately one-quarter of the electricity budget is spent on lighting, or more than $58 billion annually. In commercial buildings, lighting consumes three times the energy consumption of air conditioning. Changing over to Elumenus LED Lighting would, in just about every application, save the business owner large sums of money. How long has Elumenus been in business? Elumenus is the leader in solid state replacement lighting technology and manufacturing of lighting products for North and South America and Europe. We have 30 years experience in our industry and our products, more than 150, lead the LED industry. Our products are energy efficient and environmentally friendly. What is the ROI on your LED lighting? The payback ranges any where from 6 months to 3 years, depending on the application and operating hours per day.